This level has medium difficulty. 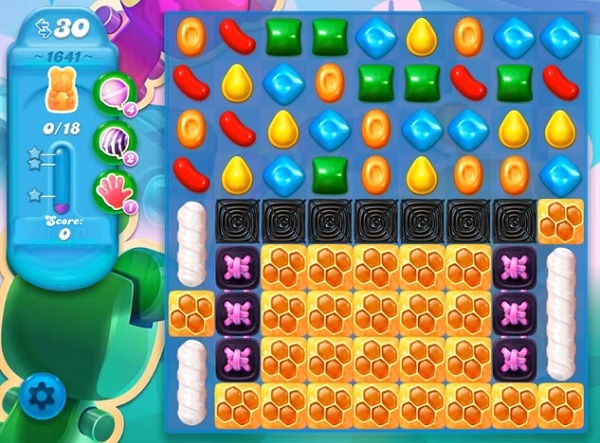 For this level try to ply near to blockers and make special candy as you get the chance. Combine special candies with each other or play near to honey blockers to break them to save the bears. This is not what mine looks like, nor do I have 30 moves… only 25. The row of licorice shown here is covered in honey as well. I can’t get through the honey to even get to the striped columns! This level seems impossible given the constraints!